Microsoft’s latest plea for CVD is as much propaganda as sincere. Earlier today, Chris Betz, senior director of the Microsoft Security Response Center (MSRC), posted a blog calling for “better coordinated vulnerability disclosure“. Before I begin a rebuttal of sorts, let me be absolutely clear. The entire OSVDB team is very impressed with Microsoft’s transition over the last decade as far as security response goes. The MSRC has evolved and matured greatly, which is a benefit to both Microsoft and their customers world-wide. This post is not meant to undermine their efforts at large, rather to point out that since day one, propaganda is still a valuable tool for the company. I will preface this with a reminder that this is not a new issue. I have personally blogged about this as far back as 2001, after Scott Culp (Microsoft at the time) wrote a polarizing piece about “information anarchy” that centered around disclosure issues. At some point Microsoft realized this was a bad position to take and that it didn’t endear them to the researchers providing free vulnerability information to them. Despite that, it took almost ten years for Microsoft to drop the term “responsible” disclosure (also biased against researchers) in favor of “coordinated” disclosure. 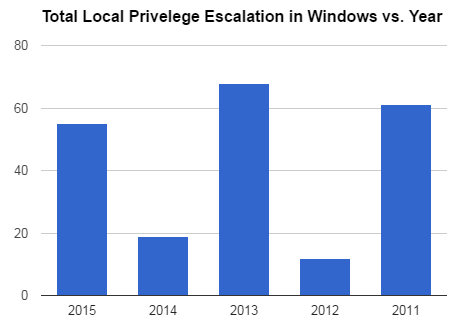 Again, Microsoft has done a phenomenal job advancing their security program, especially the last three to five years. But… it is on the back of a confrontational policy toward researchers. Reading yesterday’s blog, there are bits and pieces that stand out to me for various reasons. It is easy to gloss over many of these if you aren’t a masochist and spend most of your waking time buried in vulnerability aggregation and related topics. In terms of the software industry at large and each player’s responsibility, we believe in Coordinated Vulnerability Disclosure (CVD). Not sure I have seen “CVD” as a formal initialism until now, which is interesting. After trying to brand “information anarchy” and pushing the “responsible disclosure” term, good to see you embrace a better term. Ultimately, vulnerability collaboration between researchers and vendors is about limiting the field of opportunity so customers and their data are better protected against cyberattacks. And this line, early on in the blog, demonstrates you do not live in the real world of vulnerability disclosure. Microsoft has enjoyed their ‘ivory’ tower so to speak. Many researchers find and disclose vulnerabilities for entirely selfish reasons (e.g. bug bounties), which you basically do not offer. Yes, you have a bounty program, but it is very different from most and does not reward a vast majority of vulnerabilities reported to you. Microsoft has done well in creating a culture of “report vulnerabilities to us for free for the honor of being mentioned in one of our advisories”. And I get that! Being listed as a creditee in a Microsoft advisory is advertising itself as far as researcher talent. However… you are talking about a minority of researchers in the greater picture, that chase that honor. Those in favor of full, public disclosure believe that this method pushes software vendors to fix vulnerabilities more quickly and makes customers develop and take actions to protect themselves. We disagree. Oh sorry, let me qualify, your black and white tower. This absolutely does work for some vendors, especially those who have a poor history in dealing with vulnerability reports. You may not be one of them for the last 10 years, but you once were. Back in the late ’90s, Microsoft had a reputation for being horrible when dealing with researchers. No vulnerability disclosure policy, no bug bounty (even five years after Netscape had implemented one), and no standard process for receiving and addressing reports. Yes, you have a formal and mature process now, but many of us in the industry remember your beginnings. It is necessary to fully assess the potential vulnerability, design and evaluate against the broader threat landscape, and issue a “fix” before it is disclosed to the public, including those who would use the vulnerability to orchestrate an attack. Of the vulnerabilities privately disclosed through coordinated disclosure practices and fixed each year by all software vendors, we have found that almost none are exploited before a “fix” has been provided to customers, and even after a “fix” is made publicly available only a very small amount are ever exploited. 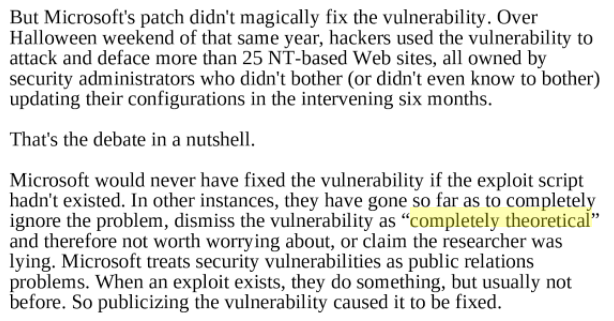 Wait, if only a very small amount of vulnerabilities are exploited after a fix, and ‘almost none’ are exploited before a fix… why do you care if it is coordinated? You essentially invalidate any argument for a researcher coordinating disclosure with you. Why do they care if you clearly state that coordination doesn’t matter, and that the vulnerability will “almost [never]” be exploited? You can’t have this both ways. CVD philosophy and action is playing out today as one company – Google – has released information about a vulnerability in a Microsoft product, two days before our planned fix on our well known and coordinated Patch Tuesday cadence, despite our request that they avoid doing so. As software engineers, we understand the pain of trying to fix, test and release a product rapidly; this especially applies to widely-deployed and complicated client software. Recognizing this, we put a lot of effort into keeping our release processes agile so that security fixes can be pushed out to users as quickly as possible. What’s right for Google is not always right for customers. This is absolutely true. But you forgot the important qualifier; what is is right for Microsoft, is not always right for customers. For example, look at CVE-2010-3889 (heavily referenced) aka “Microsoft Windows on 32-bit win32k.sys Keyboard Layout Loading Local Privilege Escalation”. This is one of four vulnerabilities used by Stuxnet. Unfortunately, Microsoft has no clear answer if this is even patched, four years later. That CVE identifier doesn’t seem to exist in any Microsoft security advisory. Why not? Did you really let a vulnerability that may have aided an attack on an Iranian nuclear power plant go unpatched? Think of the ethics questions there! Or is this a case of the Microsoft security response process not being as mature as I give them credit, and this is a dupe of CVE-2010-2743? Why does it take a third-party four years to figure this out while writing a blog on a whim? It is a zero sum game where all parties end up injured. What does this even mean, other than propaganda? It is rarely, if ever, a case where “all parties” are injured. If a researcher discloses something to you and publishes prematurely, or publishes on their own without contacting you, usually that party is not ‘injured’ in doing so. That is simple fact. Under the principle of Coordinated Vulnerability Disclosure, finders disclose newly discovered vulnerabilities in hardware, software, and services directly to the vendors of the affected product; to a national CERT or other coordinator who will report to the vendor privately; or to a private service that will likewise report to the vendor privately. Q: Will all vulnerabilities be disclosed within 45 days? A: No. There may often be circumstances that will cause us to adjust our publication schedule. Threats that are especially serious or for which we have evidence of exploitation will likely cause us to shorten our release schedule. Threats that require “hard” changes (changes to standards, changes to core operating system components) will cause us to extend our publication schedule. We may not publish every vulnerability that is reported to us. Note that it does not qualify “the vendor asks for more time”. That is the United States government saying a vendor gets 45 days to patch with rare exception. Oh wait Mr. Betz, before you go quoting “changes to core operating system components”, I will stop you there. Vulnerabilities in win32k.sys are not new. That 3.1 meg binary (on Windows 7) is the cause for a lot of grief for Windows users in that file alone. Given that history, you cannot say that changes to that file meet the US-CERT criteria. Microsoft disclosed a vulnerability in Google Chrome, but didn’t do proper research. This vulnerability may be in WebKit as one person notes, meaning it could affect other browsers like Apple Safari. If it does, then Apple would get blindsided in this disclosure, and it would not be ‘coordinated’ or ‘responsible’, and would qualify as ‘information anarchy’ as Microsoft once called it. While we don’t know if it was ultimately in WebKit, we do know this vulnerability exists because Google Chrome was trying to work around issues with Microsoft software. Look at MSVR11-011 and MSVR11-012 from 2011, where Microsoft “coordinated” two vulnerabilities with the FFmpeg team. To be sure, the FFmpeg team is outstanding at responding to and fixing vulnerabilities. However, in the real world, there are thousands of vendors that use FFmpeg as a library in their own products. While it may have been fixed in the base code, it can easily take somewhere between months and a decade for vendors to learn about and upgrade the library in their software. Only in a completely naive world could Microsoft call this “coordinated”. Even better, let’s go back to the inaugural Microsoft Vulnerability Research (MSVR) advisory, MSVR11-001. This was a “Use-After-Free Object Lifetime Vulnerability in Chrome” that in reality was a vulnerability in WebKit, the underlying rendering library used by Chrome. The problem is that WebKit is used by a lot more than Chrome. So the first advisory from MSVR conveniently targets a Google product, but completely botches the “coordinated” disclosure, going to a single vendor using WebKit code, because the Microsoft researchers apparently didn’t diagnose the problem fully. No big deal right? Wrong. I am sure Adobe, Samsung, Amazon, Tizen, Symbian, BlackBerry, Midori, and Android web browser users would disagree strongly. Do you really want to compare the number of users you blindsided with this “coordinated” disclosure to the ones you protected? Microsoft was a bigger jackass on this disclosure than Google ever was, plain and simple. Finally, do I even need to go into the absolute mess than you call the “Advanced Notification Service” (ANS)? In case readers aren’t aware, this is not a single program. This is several different programs with various names like MAPP and others. Just three days ago, you Mr. Betz announced that ANS was changing. This is after another program got changed drastically, multiple companies were kicked out of the MAPP program, and who knows what else happened. All of which was founded on Microsoft giving advanced and sometimes detailed vulnerability information to questionable companies, that may not be friendly parties. The entire notion of “coordinated” disclosure went out the window as far as Microsoft goes, when they first implemented these programs. You specifically gave a very limited number of organizations details about vulnerabilities, before other customers had access. That, by definition, is not coordination. That is favoritism in the name of the bottom line, and speaks strongly against any intent you outline in yesterday’s blog post. While Microsoft has taken great effort to improve their security process, it is disingenuous to call this anything but propaganda. Metasploit links have been fixed. At some point, the Metasploit project changed the URL scheme for the search engine. Our incoming links stopped matching the format and resulted in landing at the main search page. We now use the new URL scheme, so links from OSVDB will directly load the Metasploit module again. Microsoft changed their URL scheme yet again. Our links for MS bulletins were redirecting, but sometimes 2 or 3 times on Microsoft’s side. It’s cool that they kept up the redirects, but our links have been updated to be more efficient and land without the 30x magic. Immunity CANVAS references have been added. In our quest to add as much vulnerability information to each entry, we have used Immunity’s API to pull in data about their exploit availability. While it is a commercial offering, such exploit frameworks are invaluable to pen-testing teams, as well as administrators that mitigate based on the availability of exploits. An example of an OSVDB entry with a CANVAS reference is OSVDB 60929. Continued backfilling; we have still been pushing to backfill vulnerability data from prior years, focusing on 2011 currently. The data is coming from a variety of sources including bug trackers, changelogs, and Exploit-DB. 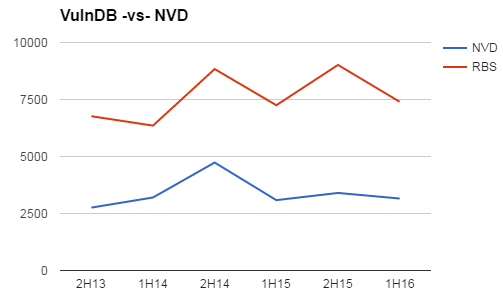 We have been working with EDB so that each site has a more thorough cross-reference available. The EDB team has been outstanding to work with and continues to show diligence in their data quality and integrity. Moving forward, we will continue to focus on more vulnerability data imports and more information backfill. Microsoft, Aurora and Something About Forest and Trees? Now, here is where we get to the whole forest, trees and some analogy about eyesight. Oh, I’ll warn (and surprise) you in advance, I am giving Microsoft the benefit of the doubt here (well, for half the blog post) and throwing this back at journalists and the security community instead. Let’s look at this from a different angle. The big issue that is newsworthy is that Microsoft knew of this vulnerability in September, and didn’t issue a patch until late January. What is not clear, is if Microsoft knew it was being exploited. The wording of the Wired article doesn’t make it clear: “aware months ago of a critical security vulnerability well before hackers exploited it to breach Google, Adobe and other large U.S. companies” and “Microsoft confirmed it learned of the so-called ‘zero-day’ flaw months ago”. Errr, nice wording. Microsoft was aware of the vulnerability (technically), before hackers exploited it, but doesn’t specifically say if they KNEW hackers were exploiting it. Microsoft learned of the “0-day” months ago? No, bad bad bad. This is taking an over-abused term and making it even worse. If a vulnerability is found and reported to the vendor before it is exploited, is it still 0-day (tree, forest, no one there to hear it falling)? Short of Microsoft admitting they knew it was being exploited, we can only speculate. So, for fun, let’s give them a pass on that one and assume it was like any other privately disclosed bug. They were working it like any other issue, fixing, patching, regression testing, etc. Good Microsoft! Bad Microsoft! But, before you jump on the bandwagon, bad journalists! Bad security community! Why do you care they sat on this one vulnerability for six months? Why is that such a big deal? Am I the only one who missed the articles pointing out that they actually sat on five code execution bugs for longer? Where was the outpour of blogs or news articles mentioning that “aurora” was one of six vulnerabilities reported to them during or before September, all in MSIE, all that allowed remote code execution (tree, forest, not seeing one for the other)? Remind me again, why the “Aurora” conspiracy is noteworthy? If Microsoft knew of six remote code execution bugs, all from the September time-frame, why is one any more severe than the other? Is it because one was used to compromise hosts, detected and published in an extremely abnormal fashion? Are we actually trying to hold Microsoft accountable on that single vulnerability when the five others just happened not to be used to compromise Google, Adobe and others? Going back to the Wired article, they say on the second to last paragraph: “On Thursday, meanwhile, Microsoft released a cumulative security update for Internet Explorer that fixes the flaw, as well as seven other security vulnerabilities that would allow an attacker to remotely execute code on a victim’s computer.” Really, Wired? That late in the article, you gloss over “seven other vulnerabilities” that would allow remote code execution? And worse, you don’t point out that Microsoft was informed of five of them BEFORE AURORA? Seriously, I am the first one to hold Microsoft over the flames for bad practices, but that goes beyond my boundaries. If you are going to take them to task over all this, at least do it right. SIX CODE EXECUTION VULNERABILITIES that they KNEW ABOUT FOR SIX MONTHS. Beating them up over just one is amateur hour in this curmudgeonly world.